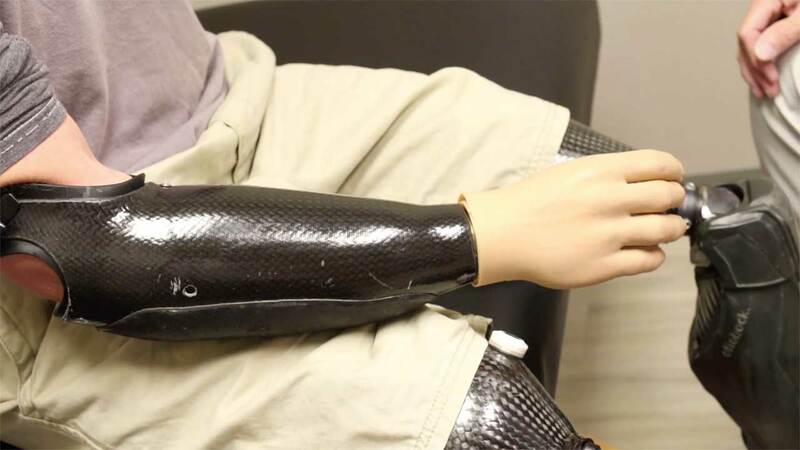 The psychological and emotional effects of losing a limb can be extremely significant, not only for the patient but also for those close to them. At Clark & Associates we strive to create a family type of environment within each of our office locations. We utilize the most appropriate technology available to compliment the needs and goals of each individual and pride ourselves in providing a perfect, comfortable fit. Clark & Associates specializes in providing lower extremity prosthetic solutions for all amputee levels. Our main focus is helping each patient reach their goals by creating a prosthesis that is useful, comfortable, and cosmetically appealing. We are here to help the patients regain their self-confidence as they return to their normal lifestyle. There are many different components to select when designing and fabricating a prosthesis. We work together with our patients to determine which design is most suitable to accomplish their goals. We assist with all levels of amputation, from finger and partial hand amputations, through wrist disarticulation, above and below elbow amputations, to shoulder disarticulations and forequarter. In addition, Clark & Associates offers cosmetic restoration which makes it possible to restore outside appearance with remarkable realism. Details such as skin tone, freckles, veins and even hair are considered when we provide cosmetic restoration. Life after limb loss doesn’t mean sacrificing activities that you enjoyed prior to amputation. Whether you’re into running, swimming, cycling, golfing, hunting or virtually any other activity, Clark & Associates will help you get back to doing the things you love to do.